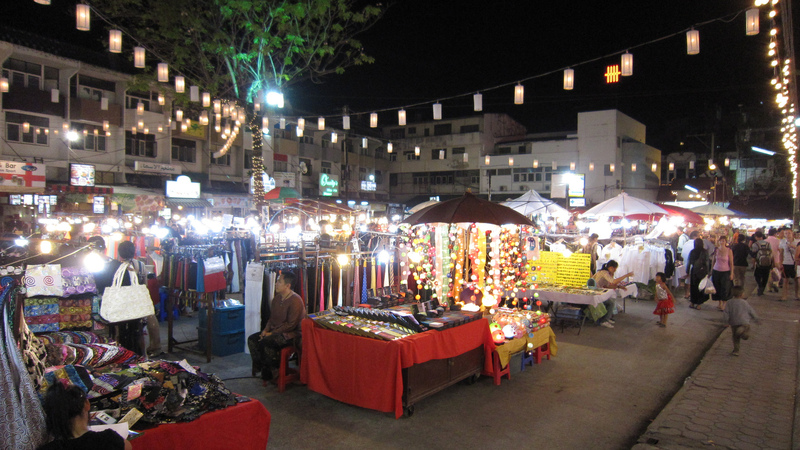 Chiang Mai is located in the mountains 700 km north of Bangkok. 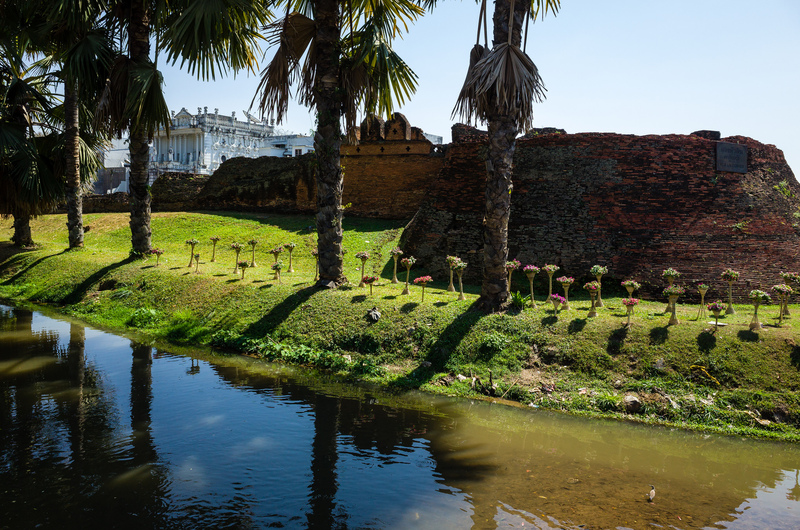 It is the former capital city of the Lanna kingdom. After Bangkok it is the second largest city of Thailand. Although it is a big city the focus for tourists is the much smaller old city centre. You can see this on every map as a almost perfect square surrounded by canals. In the old days there was a city wall around this old part of the city. The city has an international airport and many tour operators offer day trips around the city. It’s also possible to book transport to Pai, Chiang Rai and all the way to neighbouring Laos. Luang Prabang is a popular destination in Laos. The city has many locations where foreigners can do courses as meditation, yoga, Thai cooking and Thai massage. These courses can vary from one day up to a full month. Outdoor activities in the mountainous areas around Chiang Mai are a popular day trip activity. Examples are cooking on a farm, zip line circuits in the tree tops, quad bike riding and wild water rafting. Due to the mountains the temperatures in Chiang Mai and surrounding area are a little cooler than in Bangkok or in the south of the country. Especially in the dry and cool season between November and February the climate is very comfortable. Travel stories from Learn Thai with Mod. Movie from one of the cooking schools located on a farm just outside Chiang Mai.